LOOKING FOR BOOTS THAT REALLY FIT? GO CUSTOM! You may have wide feet, narrow feet, raised arches, collapsed arches, heel spurs, bunions, hammer toes or the dreaded ‘squeezed little toe’ – all common issues but issues normal boots simply don’t make allowances for. 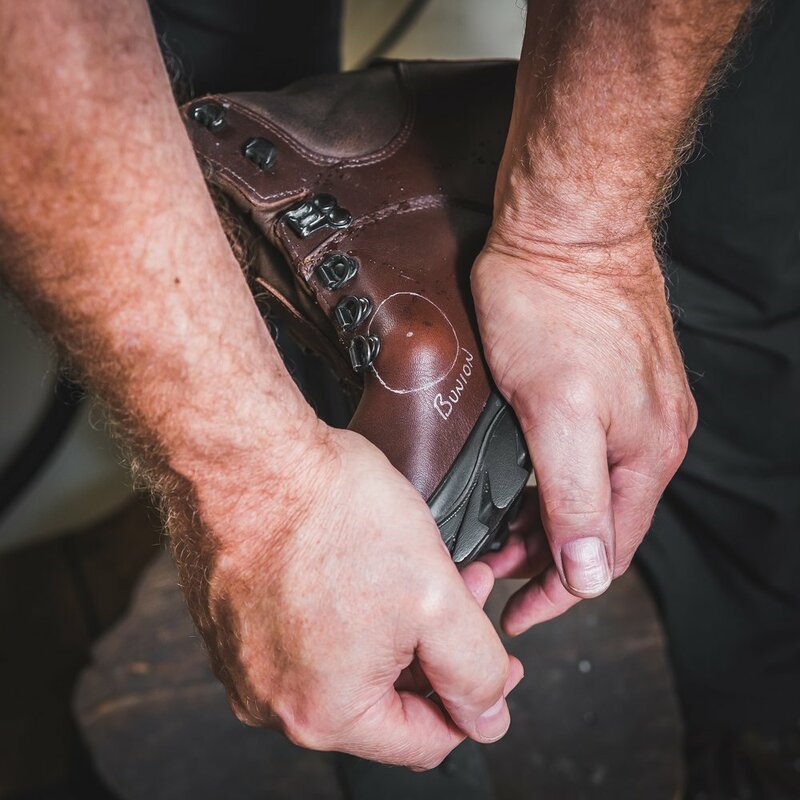 At Whalley Warm and Dry (WWD), both feet are measured and examined in detail by a specialist boot fitter to identify your size, width, volume and shape. This ensures an accurate base from which to begin to determine the right boot for you. The fitter then recommends a boot model most likely to fit your foot. 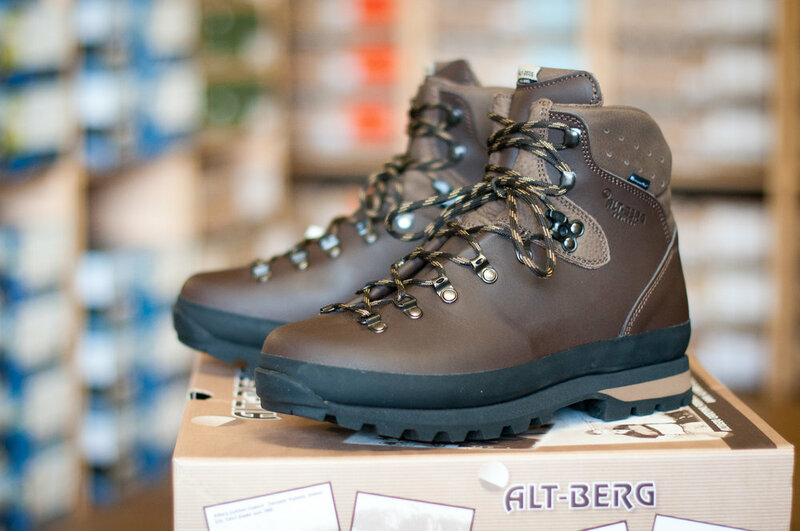 WWD keep a wide range of boots – including the largest stock of the excellent British brand Alt-Berg walking boots – which come in five width fittings and 150 sizes in total. Once the closest match has been found for your foot, the real work starts! Using expert knowledge, specialist machinery and steam, boots are gently but firmly adjusted to accommodate volume issues such as bunions, squeezed toes or heel spurs. A ‘stretching bar’ is used to instantly work a boot into the shape of your particular foot. For heel spurs or more problematic fit issues, a ‘stretching machine’ is used, which is often left overnight to do its work. Support issues, posture problems and additional shock absorption needs can be catered for with off-the-shelf insoles, or help from The Foot and Insole Specialist, who works closely with WWD to supply custom-made insoles if needed. All that’s left to do is experience the difference such individual attention can make to your walking – and you’ll have learned a lot about your feet, too! So if you’ve ever had a niggle, a hotspot, or a blister – or your feet just need a little extra help – stop trying to make your feet fit a particular boot. Make Whalley Warm and Dry your first stop, and they’ll make sure your next pair of boots fit you.